STATESVILLE, N.C. (July 29, 2018)—The ‘Tricky Triangle’ lived up to its name on Saturday in the Pocono Mountains. 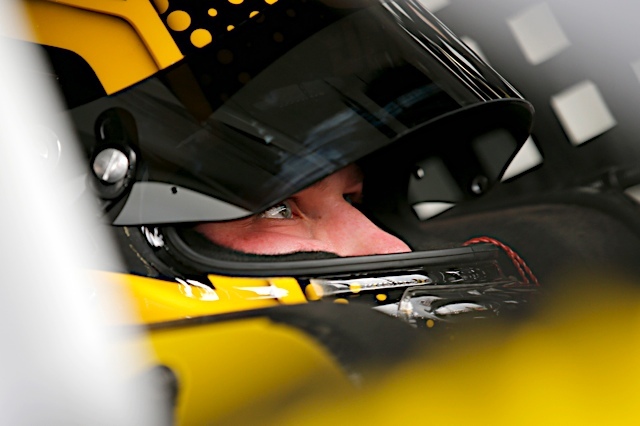 Pocono Raceway in Long Pond, Pa., proved a challenging opponent for Cody Coughlin, not letting him and the No. 2 JEGS Chevrolet Silverado off easy, as the team endured the wiles of the ‘Tricky Triangle’ in the NASCAR Camping World Truck Series (NCWTS) Gander Outdoors 150 to claim a 14th-place finish. “It was a tough race for our No. 2 GMS Racing team,” Coughlin said. “We could not quite get the No. 2 JEGS Chevrolet Silverado to handle the way we would have liked. It is a shame as we definitely had the speed and the capability to run up front with the leaders. But we know that as a team, we will get there. Coughlin, part of the four-truck GMS Racing contingent, set the 10th-fastest lap in qualifying for the NASCAR Camping World Truck Series Gander Outdoors 150 on Saturday morning at the Pocono Raceway. The Delaware, Ohio, native turned a lap of 54.397 seconds at 165.450 mph on the 2.5-mile triangle in the final qualifying round. The 22-year old fired-off from the 10th position, and wasted little time climbing to the eighth-pace in the opening laps of the race. Early on, he communicated to crew chief Jerry Baxter and diagnosed the various handling issues in each of the unique turns. As the field stretched-out under green-flag conditions in the opening 11 laps, Coughlin was scored in the 10th-place as green-flags pit stops started. He climbed to the ninth-place for the conclusion of Stage One on Lap 15. Under the stage-ending caution, Coughlin brought the No.2 JEGS Chevrolet Silverado to the attention of the GMS Racing crew for four tires with an air pressure adjustment, fuel and a number of chassis adjustments. He returned to the track and lined-up for the Stage Two restart in the 16th-place, quickly moving up to the 13th-place after the green flag waved. As the second stage wound down, Coughlin occupied the 11th position with five laps to go in the stage, and then started to gain momentum. On Lap 28 he posted his quickest lap of the 60-lap event, gaining positions in the closing laps of Stage Two as varying pit strategies played-out throughout the 32-truck field, and claimed a stage-ending fourth-place. The stage-concluding caution proved fortuitous for the No. 2 JEGS team as Coughlin came to pit road for four tires with an air pressure adjustment, fuel and a wedge adjustment to combat handling woes. Coughlin took the ensuing restart in the 13th-place with 25 laps to go. Coughlin went to work through the final stage, showcasing his fortitude and the raw potential strength of the No. 2 yellow and black machine despite its ill-handling conditions. On Lap 40 Coughlin was scored in the 15th-place, but made up ground, slicing through the field and getting at high as 13th-place with three laps remaining, but ultimately finished in the 14th-place when the checkered flag flew. The GMS Racing team’s efforts continue to pay dividends as Coughlin maintains the 10th-place in the NASCAR Camping World Truck Series driver point standing on the strength of six top-10 finishes. The next event on the NASCAR Camping World Truck Series schedule is the Corrigan Oil 200 on Saturday, August 11, at the Michigan International Speedway in Brooklyn, Mich. The FS1 and Motor Racing Network (MRN) will broadcast the race at 1:00 p.m. (ET).